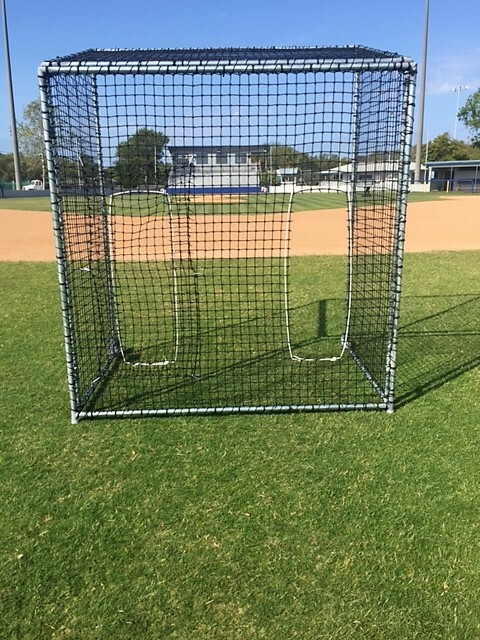 The ORIGINAL Full Protector screen, designed and perfected by Burbank Sport nets to provide complete protection while pitching or soft tossing. Great for Softball live pitching too. With the angled top, pitchers can go through their full range of motion without hitting their hand. Pitch holes with flap for right and left handed throwers! All Burbank frames are made here in the USA at our facility by an experienced welder.